Keeps your seatback clean and protected with this Auto Backrest Protector featuring durable, water-resistant nylon construction in a rugged design that resists messes, scratches and tears. 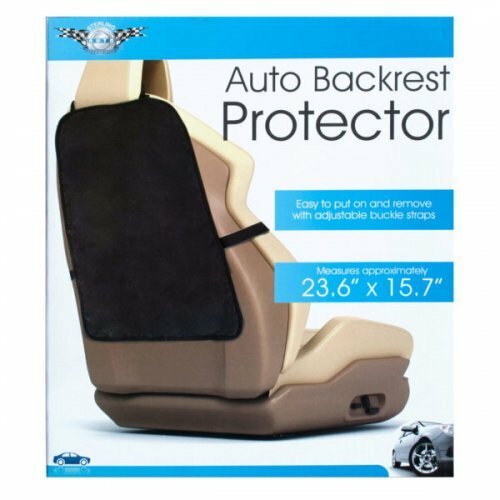 Protector is easy to put on and remove with adjustable buckle straps. Measures approximately 23.6” x 15.7”. Comes packaged in an individual box. Box measures approximately 8.375" x 1.125" x 9.625".